Fostering children’s imagination is an important part of development. When you can find a fun way to do it as a family, it’s even better. So I introduce to you a way to encourage their imagination to run wild. You’ll all have a blast, as well as laugh and bond as a family. My son has an incredible imagination. I am often in awe of it. As I get older, mine gets worse, which isn’t as fun for him. 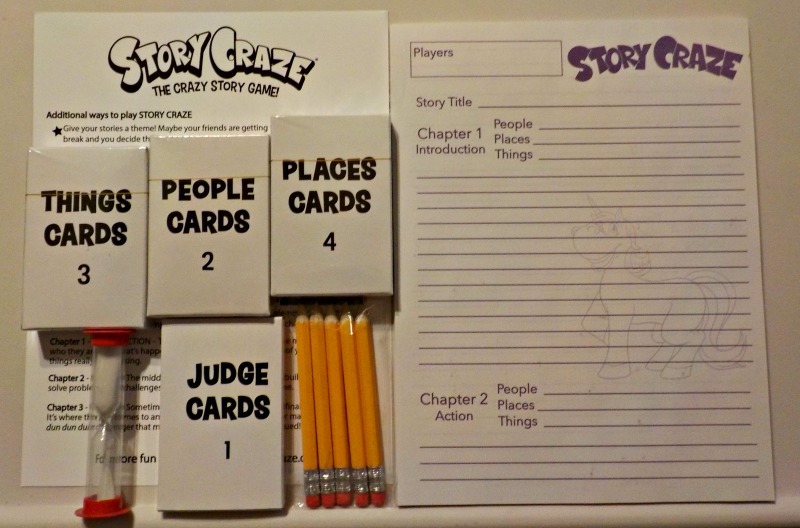 I recently stumbled upon Story Craze by Story Club Games. It has made an awesome addition to game night. My son loves it so much, he took it to speech therapy to play with his SLP. You choose a “judge,” and then split into teams. The judge chooses a card and reads the directive. Teams each choose one people, places, and things cards. Then the teams come up with their story. The team whose story is most like the card wins. There are three rounds. Each round the players have ten minutes to come up with their story. Also during each round, a new judge card is chosen. This is how your story can take silly twists and turns. 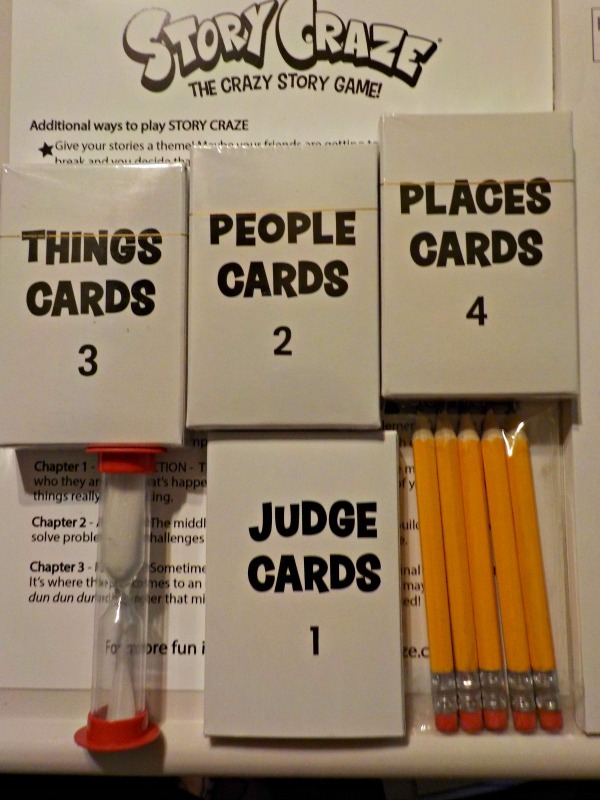 Rounds one and two should be where your stories are packed with hilarious action. Round three should be a fun cliffhanger. 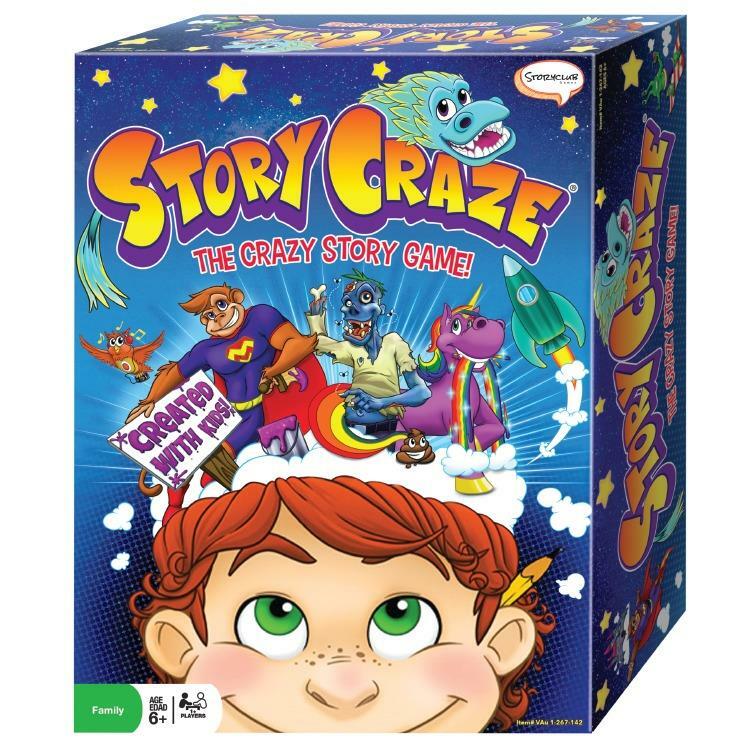 Story Craze is perfect for Family Game Night, Slumber Parties, Sleep Overs, Camps and more. You don’t even have to play it how I described above. My son and his SLP use the judge cards as prompts to create silly stories and just have fun. She loves games like this because it helps get her kids speaking so they can work on skills in a fun way. So for us, this game is not only approved by my son, but also his cousins, his Speech and Language Pathologist, and of course, us, his parents. We think this game will make a wonderful holiday gift. It would even make a great teacher gift! They could use it in the class room. To get yours, head here. You can also follow via Facebook and Twitter.